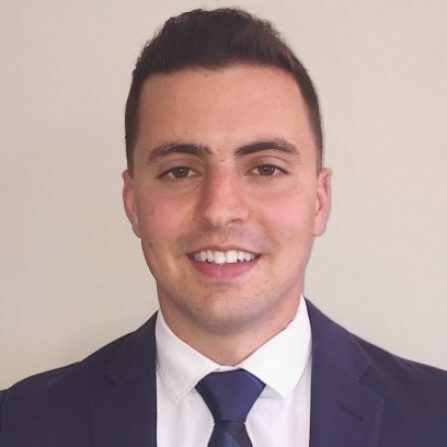 Brian DeRose is a transitioning Marine Officer who will be attending the Darden School of Business at the University of Virginia in the fall of 2018 as a full-time MBA candidate. Brian graduated with a B.S. in Economics from Ohio State University in 2014 and commissioned through the school’s NROTC program. He was stationed at Camp Lejeune, NC for three years, where he served as a platoon commander and battalion communications officer. While attending Darden, Brian plans on pursuing a full-time role in the financial services industry in New York City.